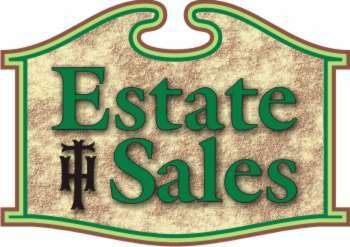 Estate sales are on-premises sales of household items; it is the most efficient and financially rewarding way to dispose of personal property. Hitmen acts as agent in the sale of personal property in a manner similar to a real estate company's representation of the owner in the sale of a home. Once the family has decided what to keep and has removed those items, then the home is prepared in such a way as to turn it into a small store or boutique. Every item is displayed and priced, from precious antiques to everyday household items. Anything that has ever been acquired at any time or any place may well sell in an estate sale. Hitmen sells property without regard to whether it was bought by your family a hundred years ago or yesterday at the local drug store. Cars, antiques, furniture, lamps, wall art, silver, china, furs, figures, rugs, toys, books, records, stationery, playing cards, appliances, utensils, pots and pans, glassware, bath and table linens, clothing accessories, purses, gloves, hats, scarves, precious and costume jewelry, workbenches, power and garden tools are only examples of what can and will be sold for the owner. If we feel that some unique items deserve another market, such as a New York and/or European auction house, then we explore those markets. The items unsold remain the property of the owner, who decides what is done with them in the end. Hitmen sells about 90% of all items in the home. Items that do not sell are removed upon request. Once the owner decides what is to be sold, our services are provided right up to settlement. The services performed by Hitmen Estate Sales include set-up, pricing, advertising, conducting the sale, appraisers' fees, overseeing cleanup and leaving the premises broom clean. We have a friendly and intelligent staff; they are knowledgeable about the items for sale and familiar with estate sale customers. To prepare a sale takes several days of set-up (organizing, displaying, pricing, and advertising). The sale itself takes place over the weekend - Thursday through Saturday or Friday through Sunday or longer, depending on the quantity of sale items. Afterwards, one day of cleanup and removal can be expected. When a sale is accepted, we pay all staff salaries to set up and run your sale for you, in a professional manner. There are no up front fees, Advertising is paid by us. Our fee is either a minimum or a percentage of gross sales and is always competitive. Hitmen works for the owner, who receives a check in the end. On the sad occasion when a family member dies it often involves how to deal with liquidating a large amount of the household items the person owned. One very popular way to do this is by having an estate sale. Holding your own estate sale involves a tremendous amount of preparation. Another option is to hire a professional estate sale service. But how do you know if you are hiring a good one? Here are tips to help you select a reputable estate sale service. When you begin preparing a home for an estate sale do not throw away any items until you have a professional estate sale service walk through the home. - Avoid signing the service contract until you have a complete understanding of what you are signing.If you are emotionally stressed have a friend or family member with you when reviewing the details of the contract. - Contact the local Better Business Bureau for complaints on any service you consider hiring. - Ony hire a service that offers proof of being insured and bonded. - Ask for references. A professional group will be able to meet your request. Visit An Estate Sale Event That The Service Is Hosting. Did you see professional signs directing you to the location? Was it professionally advertised in the local newspapers in your city and surrounding towns and cities? Were you greeted upon entering the premises? Did it feel like a garage sale rather than an estate sale? Was security provided to help direct cars and secure valuables? Were enough people on hand to answer potential buyers questions? Were the items organized and clearly priced? Does the service seem to have an awareness to how things were priced to avoid being taken by price switchers? Were display tables provided to help display large collections of glass and collectibles? Was glassware clean, knickknacks dusted, linens cleaned and folded? Was the money collected in a systematic way and secured? A professional estate sales service will assess the value of the items in the household and make price recommendations. A good service will come prepared with antique reference books, a camera, and an average household item price sheet for your review. Most professional services will want to be fully responsible for the event, including a certain amount of house cleaning. Other services may break down the costs based on what they will be responsible for, however, a really good service will be interested in being consistent with how the estate sale is presented and will want most of the control. Reputable services have regular customers who appreciate the standards that their service provides. A professional estate service will discuss rates with you. This can run between 25 to 50 percent of the total money made during the sale. Ask questions and avoid working with any service that cannot answer your questions directly and point you to the place in the contract that covers the questions you have. Check antique and collectable books or Internet sites such as eBay for ideas on what things sell for (not just what they appraise for) and verify that the service is close to the same estimates. Unfortunately it is not unheard of that an estate service will over-price an item so that they can take advantage of the 'total buy out' agreement if the item does not sell during the sale. You should get at least two seperate appraisals on valuables that you will be selling. Many appraisers own antique stores and they may be interested in purchasing items or auctioning them off after the estate sale has ended. Make certain to read the estate sale service contract before you agree to selling anything independently before the sale. Professional services often offer a "cash buyout" on items not sold at the sale. Do not expect top dollar for the leftovers. Most sales offer major discounts on the last day that the event is held and if the items did not sell during that time, the value of what is left is not going to be great. The 'buy out' is usually based on a percentage of the selling price and it is discussed prior to the contract being signed. Finally, all money should be settled between you and the service immediately after the sale has ended and the house should be left cleaned and in order.